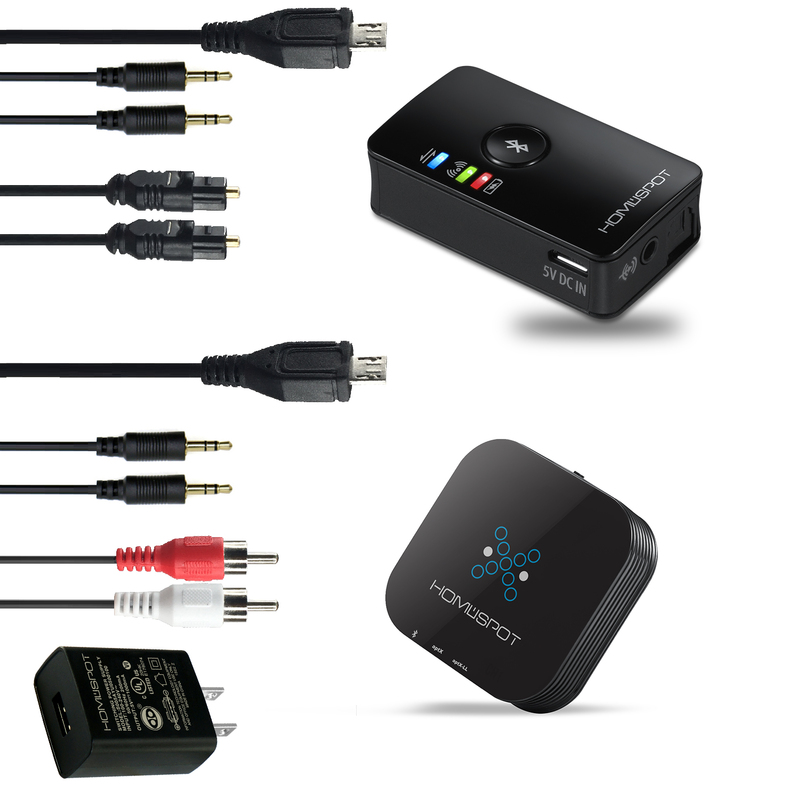 The package contains 2 pack of Bluetooth Receiver and Bluetooth Transmitter, just power them on and they wil connect to each other automatically. Plays Full Blast in Your Ear, Keeps Quiet Otherwise. 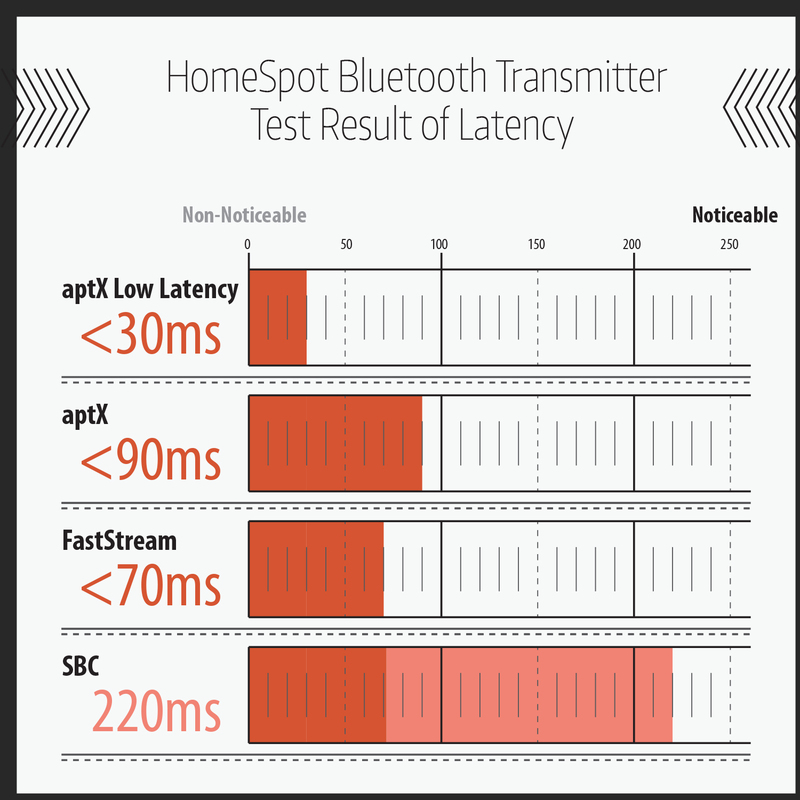 The HomeSpot Bluetooth Transmitter supports the AAC, SBC, Fast Stream, Qualcomm aptX and aptX Low Latency codecs. - SBC: 220 ms (not low latency codec). 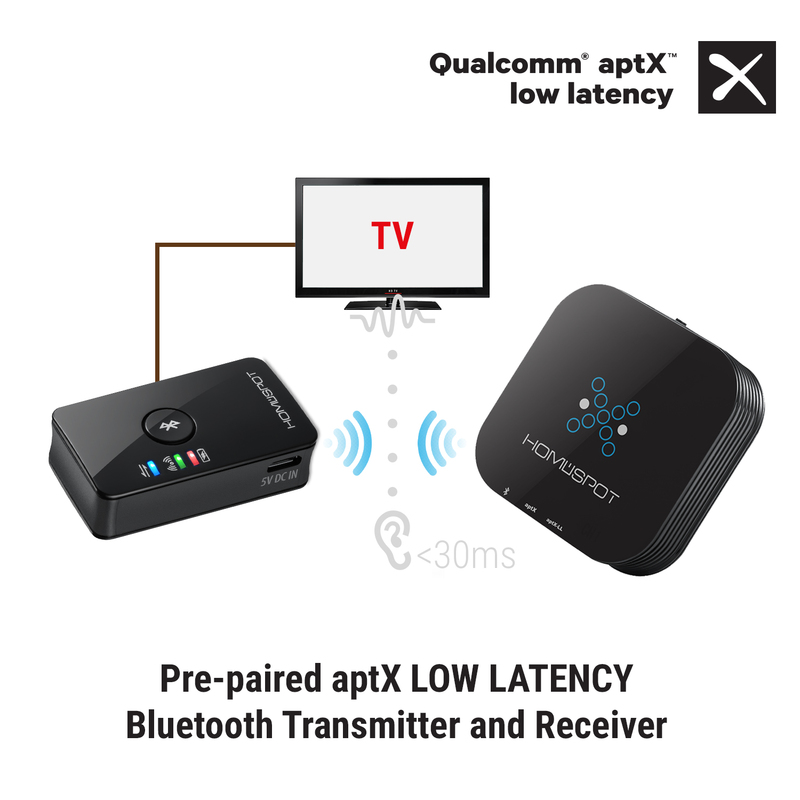 - aptX: <90 ms (low latency codec). - FastStream: <70 ms (low latency codec). - aptX-LL: <30 ms (low latency codec, human ears undetectable). 1 x UL Certified USB Adapter.